For the 11th year in a row, the Brewers Association has declared American Craft Beer Week (ACBW), the nationwide celebration of U.S. small and independent craft brewers. The weeklong tribute provides an opportunity for craft brewers to share their diversity, creativity and passion for the beverage they love with the greater craft beer community. From May 16 – 22, all 50 states will be holding events including exclusive brewery tours, special craft beer releases, food and beer pairings, tap takeovers and more to celebrate the ever-advancing beer culture in the United States. In all 50 states. Visit the official American Craft Beer Week event calendar on CraftBeer.com for a full—and growing—list of local celebrations. 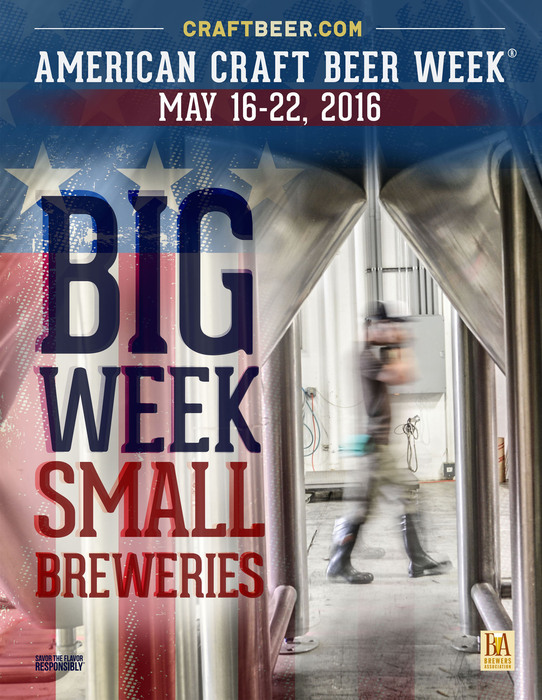 ACBW has been celebrated for the past decade. Since 2006, craft beer fans have had a designated week to support their local brewery, and beer businesses have had the opportunity to connect with their customers and other beer lovers. Tens of thousands of beer beginners, beer enthusiasts and beer geeks toast the week each year.